If you have been visiting with us at Cornerstone, we would love to get to know you better! Plan to join us for lunch at Knowles right after the service on Sunday, April 28th from 11:30 to 1:30 pm. Serving pizza, salad, drink, and dessert. 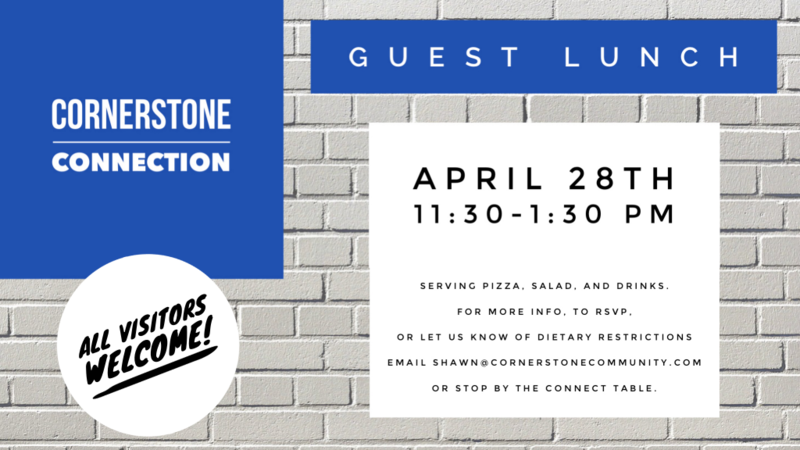 For more information, to RSVP, or to inform us of dietary restrictions, please contact shawn@cornerstonecommunity.com. Hope to see you there!